This short smoky pink wig with shiny soft straight tresses make you a glam doll. The wig comes pre-styled with the accurate color as shown in the stock photo. The only trimming that might trick you a bit is the bangs. The wig touches your earlobes, and defines the facial frame softly. The color adds warmth, brings vitality to your winter outfit and compliments your style for a feminine enrichment. 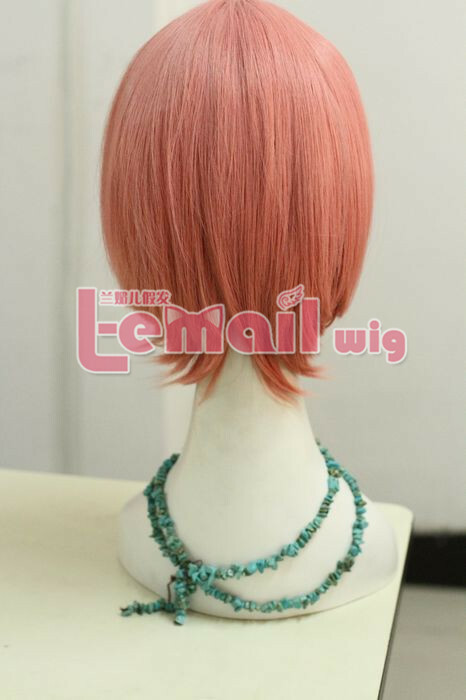 30cm long wig is really convenient to take care, you don’t need to spend much time washing or style it, it can be worn for a street date or just outside with daily look. For a lovely cosplay character can also be a good idea, with a little restyle of the bangs, or for a shorter fiber if it is needed, it can complete your cosplay perfectly! 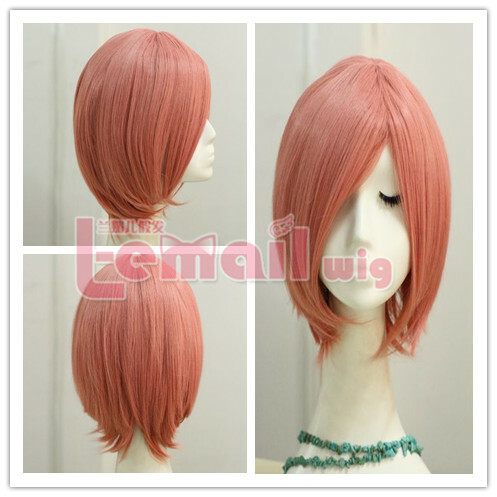 This entry was posted in Buy Cosplay Wigs, Fashion Wigs and tagged pink color wigs, short cosplay wigs, smoky pink wig, straight fashion wigs.